and solutions and to coordinate support for small farm enterprises. To take a leadership role supporting and developing a local sustainable agriculture industry for small scale farmers. To increase access to resources and funding, develop opportunities and marketplace access. Build pathways for young farmers, buyers and consumers of local produce which minimises food waste and maximises value. Foster innovation and collaboration across the region through sharing skills, knowledge and resources. Support opportunities for mentorship and coaching within the industry, business and marketing community. To build a digital platform to host land-sharing templates, lease agreements, business and market advice. 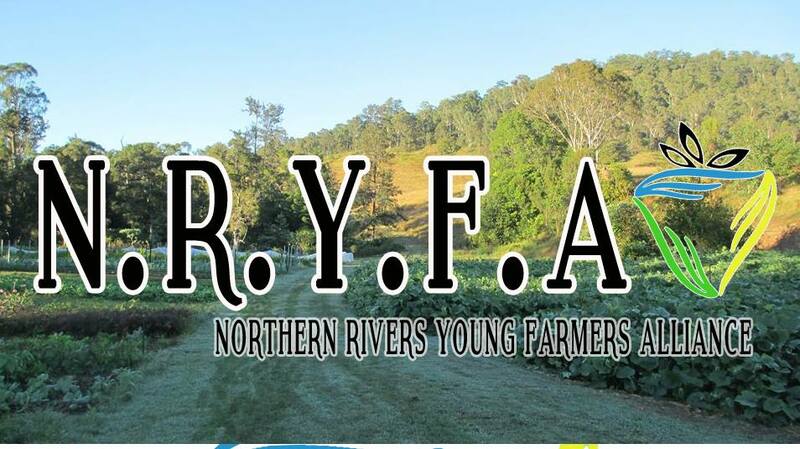 Develop a recognised brand for the Northern Rivers region as a clean, green and sustainable food bowl. The Northern Rivers region of NSW has rich volcanic soils, exceptional rainfall and access to the infrastructure that can provide us with huge potential to act as a significant food production hub for the larger populations of our urban neighbours in both Brisbane and the Gold Coast. The Northern Rivers sits within a rapid urban growth corridor, with well developed tourism. Nearby international airports three domestic airports. We have a rich farming history, established agricultural education facilities in TAFE Wollongbar Campus and the Wollongbar Agricultural Institute, Organics Institute - Southern Cross University, Soil Analysis Laboratories and a number of thriving agricultural commodity industry bodies. We also live in a time that Australians have one of the most resource intensive diets per capita in the world and yet we waste up to 40% of the produce that is produced. The bulk of our food producers are nearing or should be retired, viable farmland comes under increasing threat from urban development, and land prices have become unachievable for young farmers. Many of of our new farmers will come from urban backgrounds and with diverse skills. We need a strong and united network of young farmers who are working to support each other to thrive and prosper. Who will benefit from the NRYFA? Local food consumers and farmers market. Schools and other local training service providers. By stimulating new enterprise and business development. By developing the local food industry. By developing under-utilised local food producing resources, such as unused or neglected farm land, orchards, plantations and public spaces. By educating and engaging the local community. By demonstrating collective and co-operative farming methods. Young farmers face difficulties in gaining access to capital through traditional sources. Young farmers are challenged in gaining access to long term and secure productive land. Opportunities for workplace experience and skills development has been overwhelming reduced due to the exploitation of free labour forces such as WOOFing and the industrialisation of food production. What is new and innovative about the NRYFA ? An Alliance will provide many advantages including the economic benefits of having a shared labor pool, market access, equipment and buying power. Sustainability efficiencies are increased through shared distribution, resources, and reduced energy inputs. Our task is not an easy one, but it is necessary. The time is right for revolutionary ideas within the food movement. Climate change, youth unemployment, community nutrition and health can all be improved through strengthening the local food industry and creating tangible benefits to the local economy..
We have momentum and are building a united network of young ethical farmers and land custodians at the local, regional and national level and we invite you to help.